I see from your Apple Appstore listing that The Barbarian supports mobile gamepads. Can you be more specific.? Does the game support official Apple MFi Controllers? We've tested it with the SteelSeries Stratus and the Moga Ace Power. We're using a 3rd party controller add-on for support, and support includes all Apple MFi controllers. Although we haven't tested every one, there should be no reason any of them won't work. Each button does something, and all menus can be navigated with the buttons as well, including the bumper and trigger buttons. In my personal opinion, although the game plays great with touch, I love being able to see the full screen, and using a gamepad is wonderful. Of course I'm biased! Edit: We have not tested controllers that aren't dual-stick. I think some of the Apple MFi aren't dual-stick. They'll work, but we don't know how they work differently than the dual-stick ones. 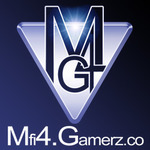 I will do a review when i get chance & promote your game to the MFi Controller Communities. If you can control the character movement with the D-Pad & don't assign anything to the L2,R2 Triggers, then the Standard MFi controller will work fine. I wouldn't worry too much about these though as i believe Apple will drop the idea or come up with an incentive for hardware manufacturers to make them, as they cost the same as making the ones with sticks that have the same features!, plus they are less useful for today's gaming genres.